Check out the music, rock throwing, weaving and a magic show at the 2016 Highland Games. A closer look at the the 2016 Highland Games comes courtesy of Collin Graves. This was the fourth year that Edinboro’s Highland Games have included harp competitions. 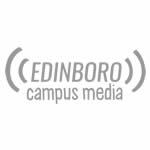 The 22nd annual Edinboro Highland Games kicks off Sept. 10 and continues through Sept. 13.